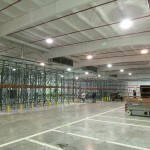 Insulating a building is one of the most important things you need to take into consideration if you want to create a comfortable indoor climate. Proper insulation keeps your interiors dry and warm, thus preventing mold and mildew growths. Mold and mildew are the biggest enemies of a building. Once they appear, they are extremely difficult to get rid of. This is why you should always make sure your roofing system and your windows and doors are properly insulated. You should use only high quality materials and hire expert technicians to help you check the insulation and perform regular maintenance. Walls and roofs are probably the most demanding in terms of insulation options available. Spray polyurethane foam is among the best solutions, so you should take a closer look at it before you make your final decision. Spray foam is liquid, therefore being able to penetrate even the smallest cracks and crevices. Once it hardens, it creates a continuous film that seals the surface it’s been applied on. SPF insulation resists heat transfer very well, therefore being one of the best methods of sealing gaps, cracks and joints. You can find more information about this modern material and technique on the website of All Seasons Insulation, a contractor that provides a wide range of roofing services. 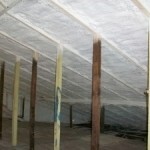 Spray foam insulation has several advantages worth mentioning. First of all, it increases the climate comfort of your house, by contributing to maintaining a constant indoor temperature. Being energy efficient, it enables you to lower your monthly bills, as you won’t need to use your HVAC system so heavily. The foam doesn’t settle or shrink, so you won’t have to worry it’s going to crack once it dries completely. Another advantage of this type of insulation is that it can perfectly fill irregular shapes. Suh surfaces are very difficult to insulate using traditional methods. According to roofing specialists at All Seasons Insulation, closed cell SPF improves structural integrity while having a higher r-value per inch of thickness. This means a foam coating can improve the structural strength of your walls. This is something you should definitely think about. The r-value is a measure of the insulating properties of a material. The higher this value, the more energy you’re going to save, as thermal exchange isn’t going to happen as rapidly as in case of poorly insulated buildings. If you suffer from allergies, you’ll be pleased to find out that spray foam insulation acts as a barrier against airborne allergens such as dust and pollens. Since it doesn’t allow outside air to penetrate inside your rooms, it also stops all these tiny particles and spores that cause allergic individuals so much trouble during spring and fall. Of course, if you open the windows, you’re still going to get those allergens inside your house, but at least you can protect yourself during peak seasons. SPF insulation has another unexpected benefit you may not be able to guess immediately. It acts as a sound barrier, so your house is going to be quieter. If you live in a noisy neighborhood, you’re going to be happy to soundproof your indoor environment. Relaxing or studying in a quiet home is something you’re going to appreciate. Pests are yet another reason why you should consider spray foam as the best method for insulating your house. This thin coating takes the shape of the surface it gets applied on, sealing all gaps, and therefore preventing various bugs from getting in. Besides, this substance isn’t something termites can thrive in, so they won’t nest inside your walls any longer. This can save you a lot of trouble, as you won’t need to pay for expensive pest removal services. 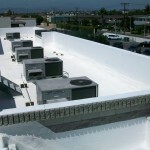 Spray foam is also one of the best methods of roof restoration. You don’t need to replace your old roof only because it has signs of wear and tear. You can seal it with a layer of SPF, making it look and behave just like a new one. 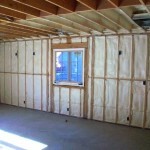 Besides, you won’t need any building permit to apply this insulation, so you’re going to save a lot of time and money. This roof restoration method is also tax deductible in the first year, so you can save even more money by using it. In addition, spray foam roofs can be considered “green”, thus being the perfect choice of those who care about making our planet a better place. 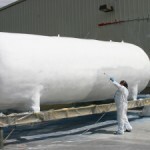 If you want to see some technicians in action, you can take a look at asifoam.com, the website of All Seasons Insulation. You’ll see several examples of residential and commercial spray foam insulation solutions and even videos that demonstrate the advantages of this material over traditional ones. you’ll learn that you can insulate roofs, attics and walls, as well as hot or cold tanks, subfloors and cold storage facilities. 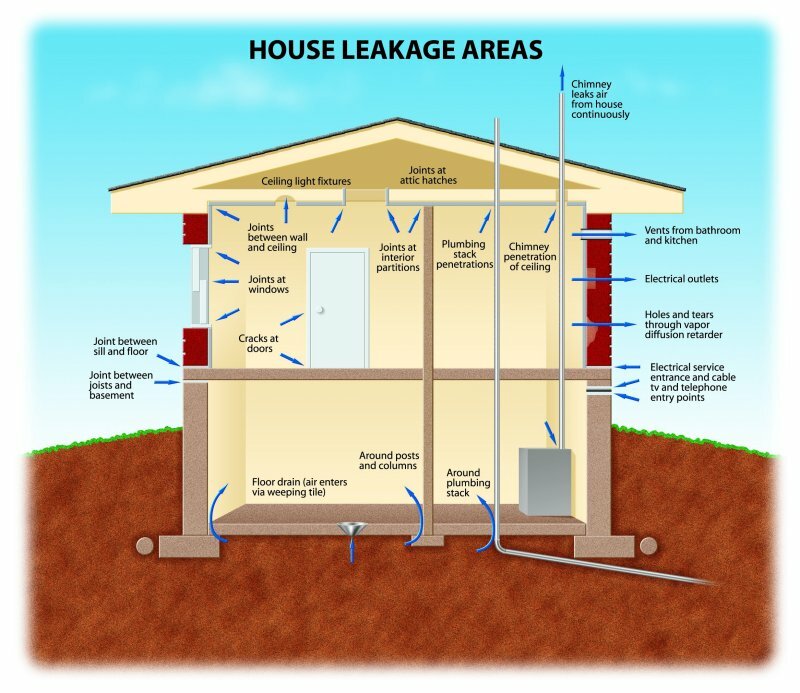 You’ll also learn what are the main air leakage areas of a typical house, so that you can gain a better understanding of your insulation needs. The website contains a gallery displaying some insulation projects completed by All Seasons Insulation, as well as a section of testimonials. Should you be interested in more details, you can take a look into the Library section, where you’re going to find lots of brochures, technical papers and material safety data sheets. You can become knowledgeable about SPF by simply studying all these materials and articles. 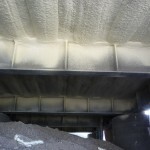 As you can see, spray foam insulation offers a lot of advantages. It can be used for insulating commercial and residential buildings alike, and it doesn’t require any building permits or paperwork. It has the ability to penetrate even the tiniest cracks, creating a continuous film that stops air drafts, allergens and insects from getting inside the building. This solution appears to be much better than fiberglass or cellulose. If you want to know more details, you can contact All Seasons Insulation. Their specialists are going to explain you everything you need to know about this modern technique of insulating a building.